Rediff.com » Business » Is this a good time to buy stocks? Is this a good time to buy stocks? Global equity and bond markets, especially in Japan, were spooked on Thursday post the US Federal Reserve's comments on the third round of bond buying programme, commonly known as quantitative easing (QE3). Adding to the woes was China HSBC Purchasing Managers' Index for May that fell to a seven-month low at 49.6. Japanese government bond prices dived and 10-year Japanese government bond (JGB) futures saw yields jump to as high as one per cent, its highest level since April 2012, prompting the Tokyo Stock Exchange to temporarily suspend trade as the dollar hit a near three-year high. The dollar's rise was followed US Federal Reserve Chairman Ben Bernanke's statement, in which he said the Fed's massive bond-buying programme would remain in place for now. However, what came as a surprise was a hint that the US Fed may be looking to scale back the quantum of buying it does each month of around $85 billion. 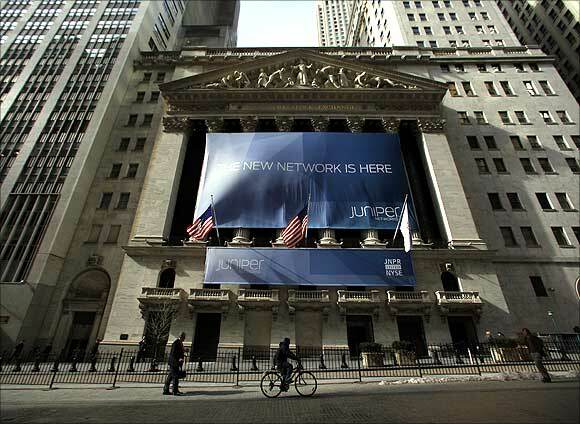 Image: New York Stock Exchange. "While Bernanke's apparently hawkish remark may have been an innocent attempt to illustrate the flexibility of the Fed's asset purchase programme, it did confirm the market's suspicion that the FOMC is at least talking about tapering off QE3 in the next few months, and for some in the market, it is even a signal that we may see the Fed tapering off QE3 in the near future," noted Jan Lambregts, managing director, global head of financial markets research, Rabobank International. "Since fiscal policy uncertainty is likely to restrain the recovery at least until September, we do not expect a meaningful acceleration in the US labour market before Q4. Therefore, our guess is that the Fed will slow down asset purchases in Q12014, before terminating QE3 altogether later in 2014," he added. Free fallAsian shares fell and extended their losses after a survey showed that China's May factory activity shrank for the first time in seven months. Japan's Nikkei lost nearly eight per cent after rising as much as two per cent in early trade, while MSCI's broader index of Asia-Pacific shares outside Japan fell 1.5 per cent. Hang Seng, Taiwan Weighted and KOSPI also skidded 1.3 per cent – 2.8 per cent. Back home, the rupee fell to its lowest in over eight-and-a-half months on Thursday to a low of 55.92, heading for a fifth consecutive session of falls. 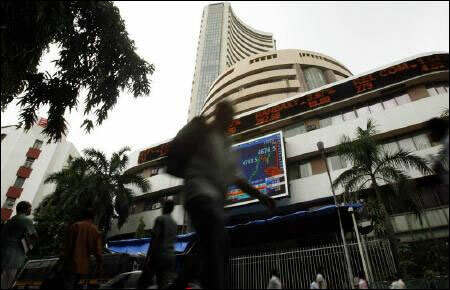 An impact of these developments was also visible on the bourses with the benchmark indices – the Sensex and the Nifty – slipping nearly two per cent to sub-20,000 and 6,000 levels in intra-day deals, respectively. 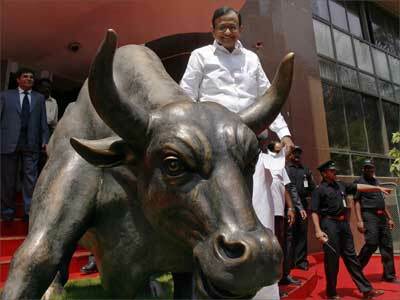 Image: Finance Mnister P Chidambaram poses next to the bronze statue of a bull outside the Bombay Stock Exchange. "It is just a global trigger that led to the sell-off in the Japanese markets and what we are seeing in the Indian markets is just a reflection of the same. I think the bigger worry is China's PMI that fell below 50. The Fed would wind up QE3 in a calibrated form, if at all it happens, and will not impact the growth factor in the US. But I think the market is over-reacting to all the news flow and worrying about the quantum of bond purchases," observes N Sethuram Iyer, CIO, Daiwa Mutual Fund. 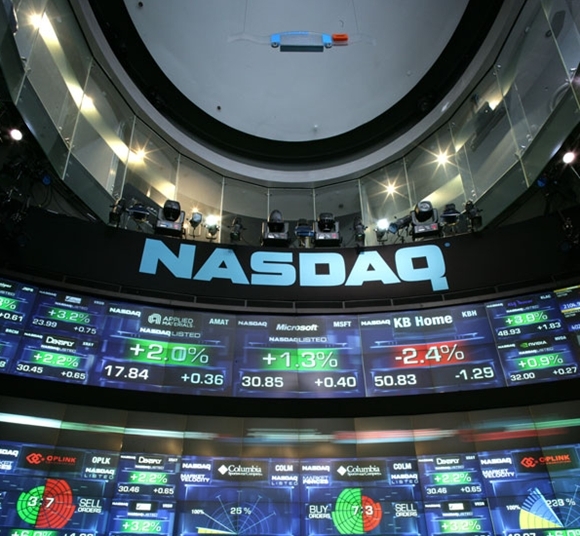 "We have seen significant rise in valuations in the past couple of weeks. So, a correction was in the offing and since it was triggered by a global event, I would not read too much into that. I think if the market corrects one or two per cent further from where we are, it could be used as a good buying opportunity. I think now the investors' focus will shift to fundamentals," Iyer adds. 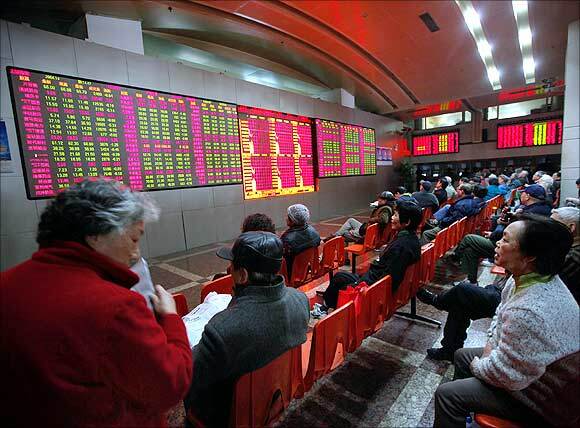 Image: People look at an electronic board at a brokerage house in Shanghai. So, what should you interpret from all this? Are the markets factoring in all the negatives and is it a good time to buy? Notes Gaurang Shah, assistant vice president, Geojit BNP Paribas Financial Services: "The run-up in Nikkei had been significant in the past six months, so, a seven per cent fall on a closing basis would not be surprising. However, the developments will have a spillover effect on other indices, such as Hang Seng. Moreover, European futures are already trading negatively; so a risk-off sentiment is already in place." "In the Indian context, the Nifty has gained nearly 700 points in just one month. Hence, a sell-off seems normal. But yes, the rupee continues to remain a huge concern. Overall, I would say we are better placed as compared to the other emerging market economies given the outlook for commodities and interest rates," he adds. Experts suggest the rupee will continue to trend higher against the US dollar (USD). "For the Indian currency, it's a clear break of trend, which was in the range of 50-55 against the USD. Now, one can expect the levels of 56-58 in the near future with intermittent corrections," said Abhishek Goenka, chief executive officer, India Forex Advisors. "Bernanke's statement has created an atmosphere of uncertainty and nervousness. Yesterday's fall in bond prices in international markets and elevation in dollar subsequent to the statement, have negatively impacted Indian gilt prices and the rupee. Going ahead, I don't expect much more fall for the Indian bonds from the current levels," observed Rupa Rege Nitsure, chief economist, Bank of Baroda. As regards individual stocks, Shah of Geojit BNP Paribas expects high beta stocks to be affected the most. "Ranbaxy is a sell at current levels, as factors are more corporate driven. Maruti Suzuki, on the other hand, was basking on the rupee-yen situation but other factors like monthly auto sales will need to be looked at. The sectors that will be most affected will be real estate, infrastructure, etc," he says. Image: Indian currency notes are stapled to form a garland at a shop in Jammu.